The African Grey Calendar will help cheer up any wall with a beautiful picture of parrots for every month of the year! The wall calendar has 24 pages with 12 different pictures. This calendar is an absolute must-have for any parrot enthusiast. A wall calendar with 12 beautiful bird photos for every month of the year 2019 and large spaces for your appointments. Each month lists numerous (inter)national (bank) holidays such as Christmas and Easter. The calendar can easily be mounted onto the wall through the hole at the top. The African Greys Calendar is an ideal gift for garden birds enthusiasts! 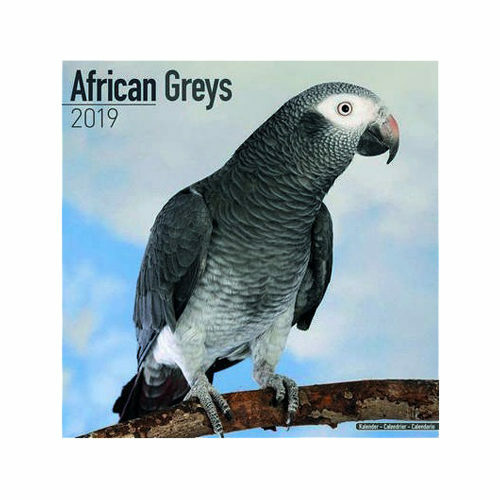 Have you used African Grey Calendar 2019 before? Let us know what you think about this product.